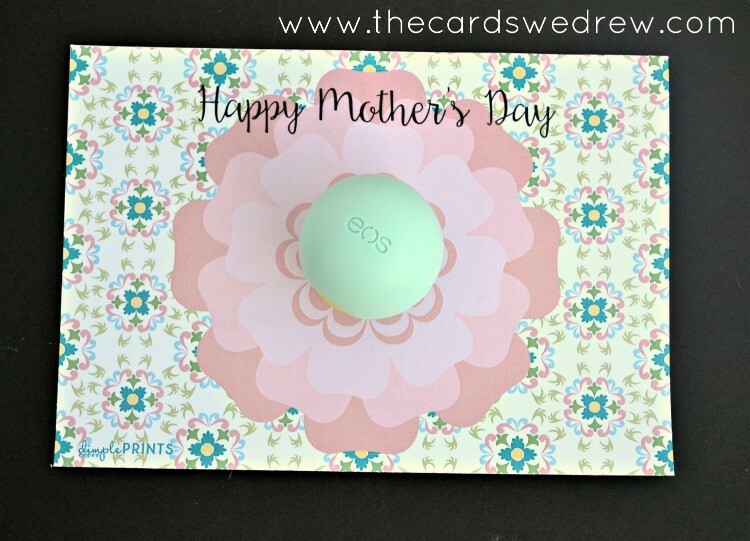 I seriously can’t believe it’s May and Mother’s Day is right around the corner. For me, on Mother’s Day, I really just want to relax with my kids, cookout, get some yard work done/flowers planted, and enjoy the day. My husband tries to give me less to do with the kids (handles more diaper changes and sippy cup refills) and sometimes he surprises me with a small, unnecessary, gift. 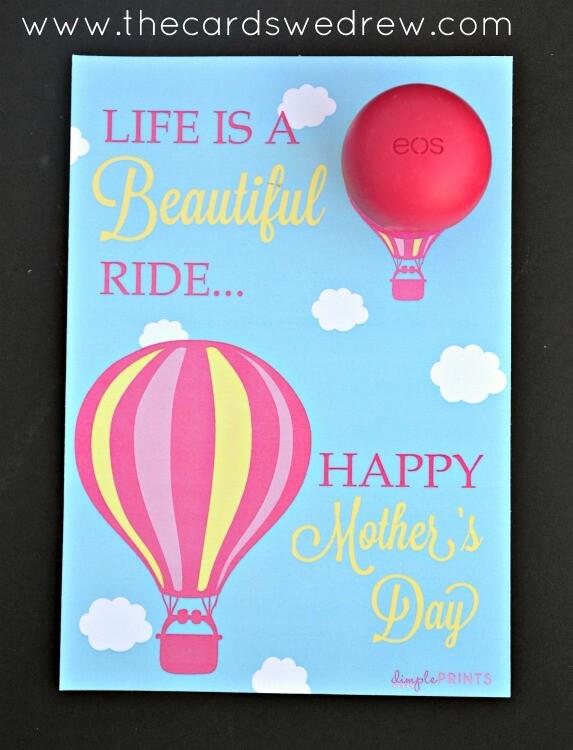 If you have a more elaborate Mother’s Day planned or give your friends little reminders that they’re phenomenal moms, then you may like these Mother’s Day EOS Gift ideas!! 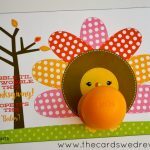 All the printables are FREE and can be downloaded HERE from my friend, Carli, at DimplePrints. 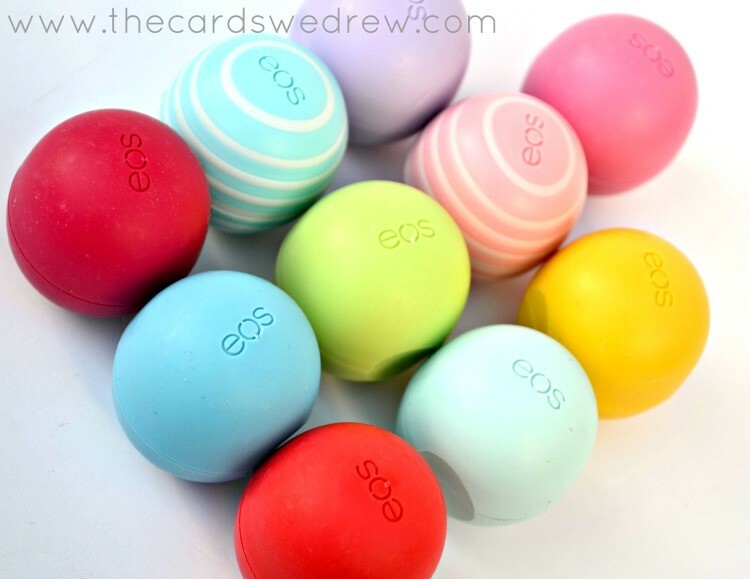 First, you need to gather up your favorite colors/smells of EOS Lip Balms! 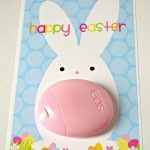 After that, you can download and print the cards you like best and adhere your lip balm to the card. 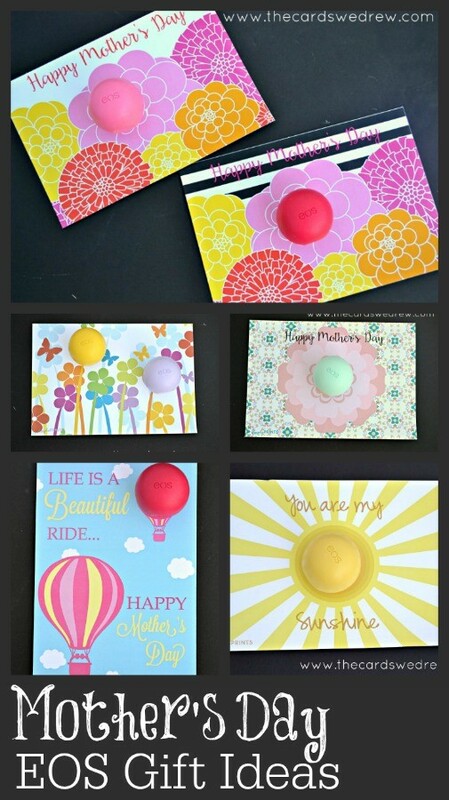 There are two different versions of this pretty flower covered card. 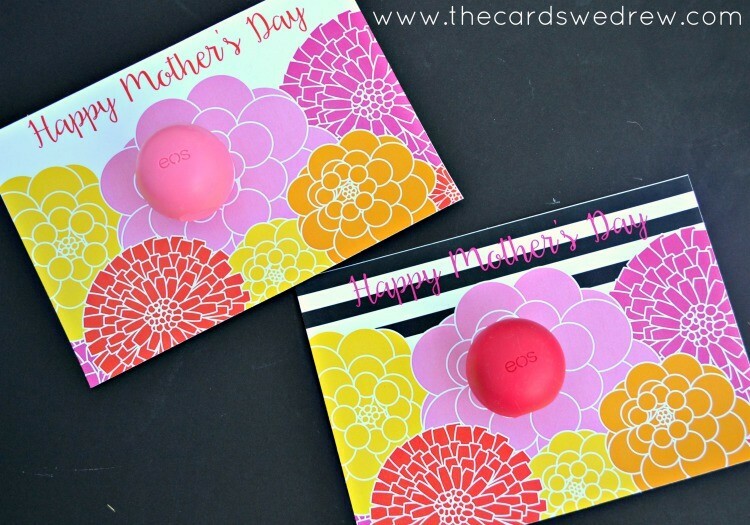 If you’re a mint and pink fan, then this Mother’s Day card will scream your name! Just need a gift for a friend? 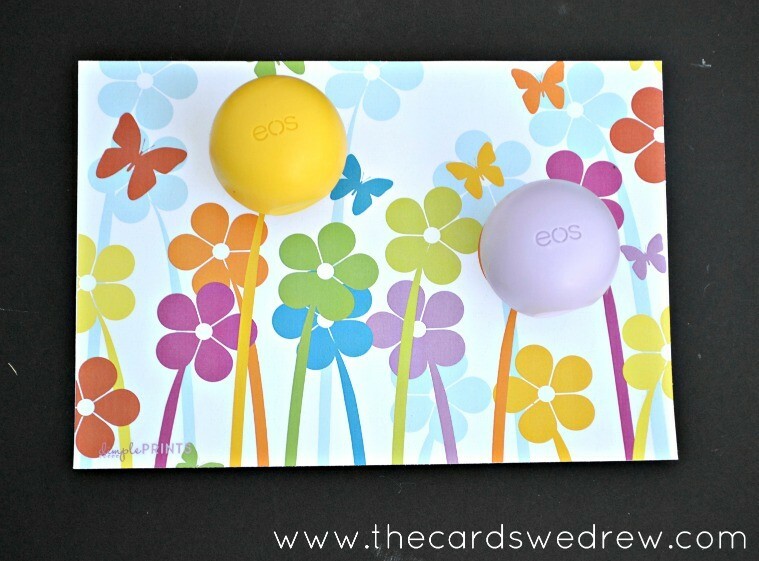 This pretty flowers EOS card will show her you care with DOUBLE the fun in EOS balms! And if you’re a hot air balloon lover like me, then you’ll adore this gorgeous Hot Air Balloon EOS card print!! 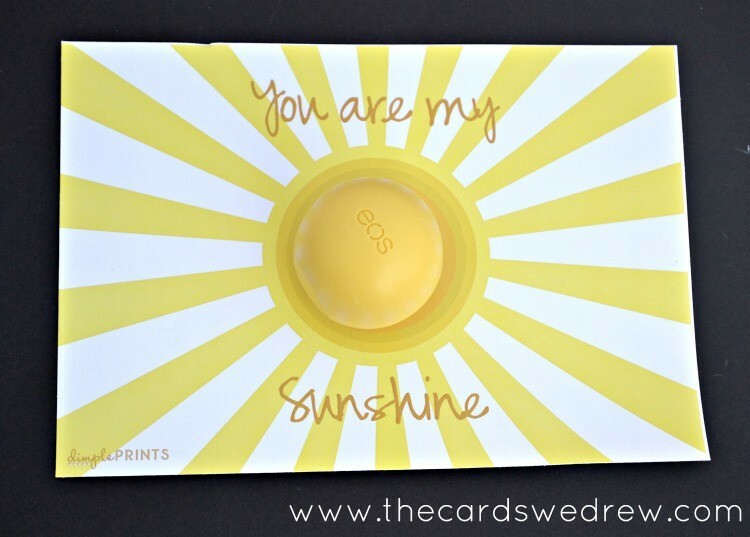 Finally, remind mom JUST how important she is with this You Are My Sunshine Free EOS print!! 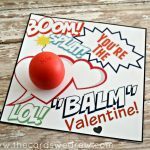 So many fun ideas, right here for download! I hope this helps you get prepared for Mother’s Day next weekend! Enjoy! I have a dumb question..How do you attach the lip balm? Great!! Thanks! Making them for mothers day church gifts!! So cute!!! are any of these templates editable? or could I place an order for one?